Watch Out, Greedo! Han Solo is Shooting! Rogue One is still playing in theaters, but Disney is making sure that movie fans know that there’s much more to come by releasing a constant stream of Star Wars goodness. Last week, we found out the sequel to The Force Awakens will be called The Last Jedi. Then, writer-director Rian Johnson teased us with some of the movies that influenced the eighth episode of the saga, which is currently in the editing phase. As if that wasn’t enough, we now know that the Untitled Han Solo, er, solo movie has begun filming thanks to a fantastic tweet from co-director (with Phil Lord) Chris Miller. The tweet is epic in so many ways! Not only does it signify the start of filming of a Han Solo movie, but the tongue-in-cheek “secret” title has been revealed — Red Cup (get it?) — and Miller captioned the tweet “Han First Shot,” a play on the “Han Shot First” internet movement to reinstate Han Solo (Harrison Ford) as the first shooter in his fracas with Greedo in the original Star Wars. Virtually nothing else is known about the movie except that it was written by Lawrence Kasdan and Jon Kasdan and will feature Donald Glover as a young Lando Calrissian, Emilia Clarke in an unknown role, and possibly Woody Harrelson as a “mentor type” to young Solo, played by Alden Ehrenreich. 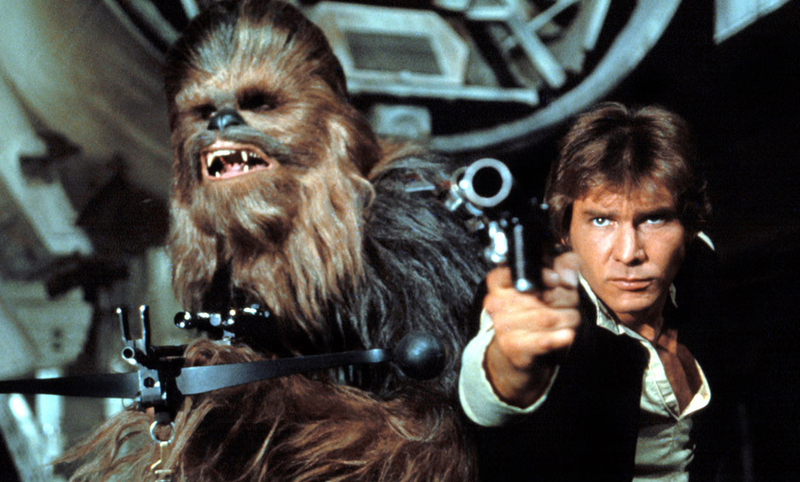 The Untitled Han Solo movie is slated for release in 2018. But yay Han Solo movie! The name brand of those popular red plastic cups you see at house parties is “Solo”. If I were to pick a young Billy D Williams…It would be Donald Glover. Perfect. I’ve never seen him play “suave,” but he’s a great actor with a great sense of humor so I’m sure he’s going to nail it!